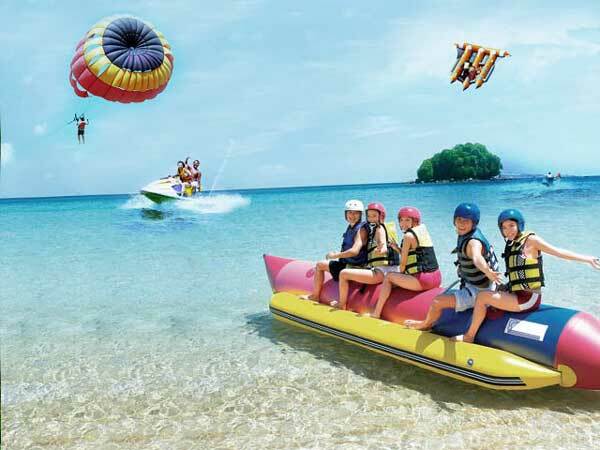 ​Bali Water Sports, Horse Riding and ATV Ride Tour is an Bali Triple Activities Tour Packages we designed for you to feel and try the water sports activity, riding the horse at serangan beach and then enjoy riding ATV bike during your vacation in Bali islands. 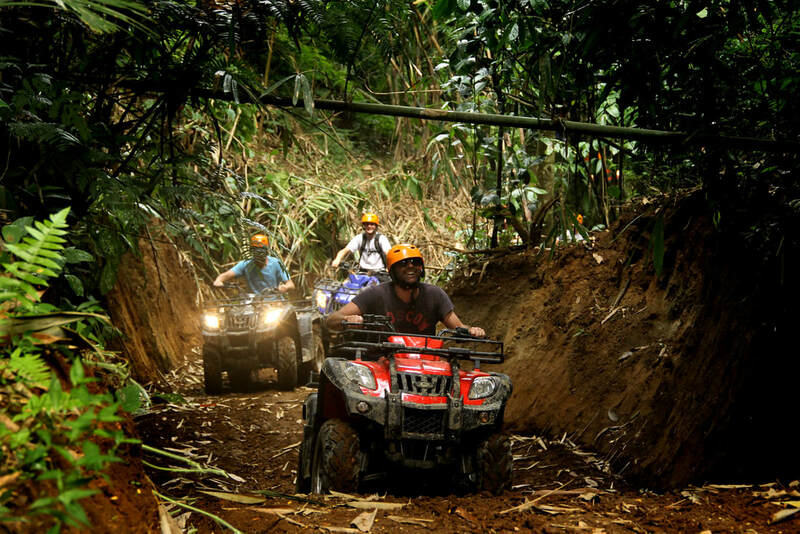 First you will try rising the ATV bike, explore this island in the way you never imagine before with duration 2 hours ATV ride. Is exotic riding to visit the local village and see the view of beautiful rice paddy. then continue the tour by enjoy the lunc with delicious Indonesian food. Then after lunch we will enjoy the selection of water sports activity we offer in this packages, you will enjoy the Banana Boat, Flying Fish, Glass Bottom Boat and Turtle Islands Tour, Is great opportunity we offer to you to feel the sensation water adventure in the islands of paradise. After finish the water sports activity we will go to the horse riding stable to enjoy 1 hours 30 minutes Horseback Riding through the amazing and beautiful serangan beach with black sand along the coast and professional horse riding guide during your adventure. After the Horse Riding tour finish we will drop you back to your hotel. This Bali Water Sports, Horse Riding and Spa Tour Packages is the perfect choices for your holiday and will assist by professional English Speaking Driver by perform the best Bali Tour Services to make your day more impressive one.